Abu Dhabi’s Department of Transport (DoT) has issued a new permit to Ekar, the company that offers smart car rental services. Users can identify the nearest car to his/her location to rent it and use it by phone application. The cost is calculated based on the use. An application is designed to the service that attracted number of companies working in the field. Users can download the application of this service and locate the desired destination on the built-in map. The application will identify the nearest car available to this destination and the user can then reserve it. Once the user arrives to the car, he/she can open its doors using the application. Inside the car, a device is connected to the car keys and the user will be able to drive it to the desired destination. The application “Ekar” is available to download on Android and IOS. The rental cost of the car is decided depending on the duration of the use per minute or hour or on a daily basis. A special built-in system will deduct the cost amount from the customer’s credit card. Later, when the user is finished, he/she can leave the car in the destination arrived, available for other customers to use it. This service encourages the transforming towards smart transport modes in order to reduce air pollution, decreasing greenhouse gases emission, reducing private cars use, decreasing congestion and preserving a clean environment. 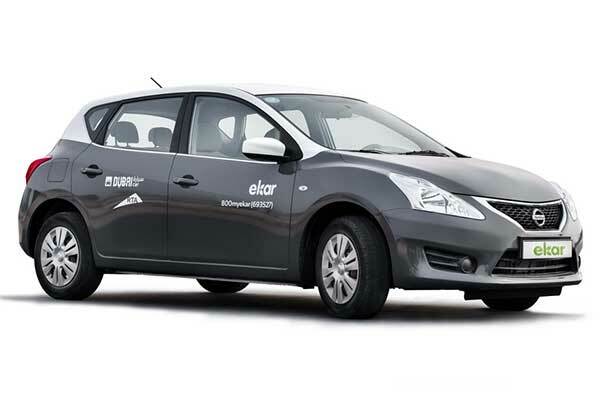 Number of the rental cars fleet will be dedicated for this service with hybrid and electrical environment-friendly cars. The new service will allow visitors; tourists and businessmen, to transport from a place to another easily. In addition, low-income people will benefit from the service as well instead of owning a private costly car.